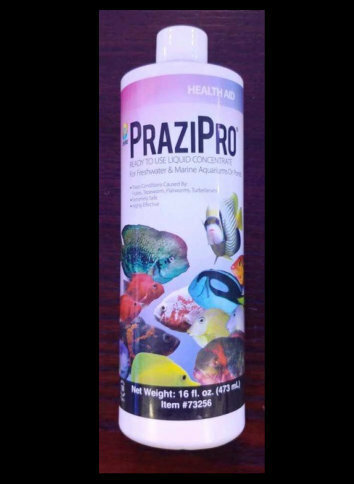 Liquid PraziPro® is a ready-to-use, liquid concentrate that was developed to offer the hobbyist an effective way to control unwanted parasites in their pond, freshwater or marine aquarium. Extremely safe and highly effective this revolutionary product offers you rapid control yet will not negatively impact your biological filtration. Send those unwanted pond visitors on their way, try Liquid PraziPro® today! Highly Effective & Safe Too!